Injury Attorney Stephen Fernandez Named Top 40 Under 40 Litigation Lawyer by the American Society of Legal Advocates. Attorney Stephen Fernandez of Shapiro Goldman Babboni & Walsh has been recognized as a member of the Top 40 Under 40 Litigation Lawyers in Florida by the American Society of Legal Advocates. ​The Sarasota Florida based personal injury lawyer Stephen Fernandez has been included in the elite group of attorneys entitled the Top 40 under 40. Only 1.5% of attorneys qualifies for the distinction and are selected by the American Society of Legal Advocates. The ASLA mission is to bring together a select pool of diverse legal talent for the benefit of its members and the public. Members of the Top 40 under 40 are manually selected using an exhaustive review process, ensuring each attorney represents the highest standards in his or her area of practice. Lawyers from ASLA comprehensively review available information for each candidate, including a review of firm websites, client assessments, and publicly-available filings, which may include: verdicts, settlement information, and information regarding transactions. Candidates are also assessed on educational accomplishments, involvement and leadership in bar associations and professional organizations, activities within their community, and demonstrated legal achievement. In the case of Top 40 under 40 reviews, ASLA also evaluates indications of developing success, both in a candidate’s day-to-day practice and in serving the profession. Mr. Fernandez has quickly built a reputation as a skilled litigator and zealous advocate for his clients. 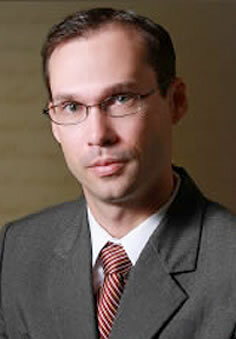 He has been named a “Rising Star” by Florida Super Lawyers magazine in 2010 and 2011. This distinction is awarded to no more than 2.5% of attorneys and is based on factors such as academic achievement, peer recognition and professional accomplishments. In 2011 he was also named one of the “Top 40 under 40” by The National Trial Lawyers organization. He maintains a “Superb” rating by Avvo. Mr. Fernandez is a member of the American Association of Justice, the Florida Justice Association, the Tampa Bay Trial Lawyers Association, the Manasota Trial Lawyers Association Board of Directors, the Sarasota Bar Association, and the Association of Plaintiff's Interstate Trucking Lawyers of America. He is also on the Board of Sarasota Bay Watch, a non-profit organization committed to preserving and restoring Sarasota Bay. Mr. Fernandez has written various publications on subjects ranging from the handling of insurance claims to fly-fishing. In 2003 his article "Captive-bred Exceptions: An Unconventional Approach to Conservation Under the ESA" won the Barbara W. Maker award and was published in the UF Journal of Law and Public Policy. Original Source: Injury Attorney Stephen Fernandez Named Top 40 Under 40 Litigation Lawyer by the American Society of Legal Advocates.